Ahead of next years Presidential elections in Ukraine, opinion polls are just as doubtful as they have been before crucial elections in the West. I have never understood Ukraine’s obsession with opinion polls. Ukrainians seem to break out in a sweat when a new opinion poll is published. I understand that opinion polling organisations make money from their services, but why should their results necessarily be of interest to us? It certainly is not clear why the question of attitudes towards Ukrainian independence are included in opinion polls – especially when we are in the third decade of independence. Is it a form of Ukrainian masochism? No European nation or post-colonial country asks this question of itself. No Indian opinion polls in the 1960s asked their citizens if they supported their country’s independence! Another reason to be skeptical about opinion polls is that pollsters often get it wrong. 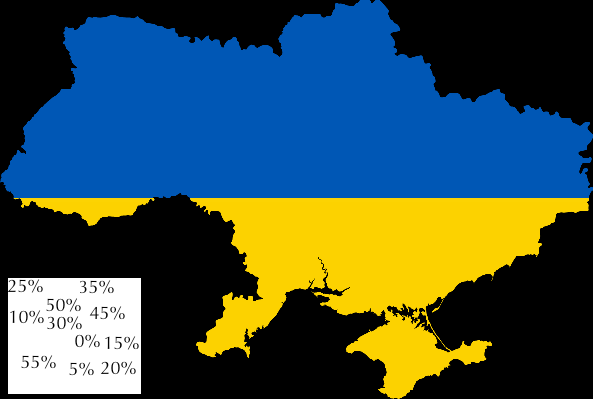 No opinion poll, for example, predicted that 91 per cent of Ukrainians would support independence. Two recent examples show how we should distrust opinion polls. The first is the 2016 presidential elections in America. Only a few outlying US polling organisations predicted that Donald Trump would win, with the vast majority predicting a landslide victory for Hillary Clinton. Secondly, Brexiteers admitted defeat on the night of the referendum. In both of these examples, the side that won (Trump and Brexit) believed right up to the final day they had lost. Steve Bannon, head of Trump’s campaign, and Nigel Farage, leader of UKIP (United Kingdom Independence Party) who led the Brexit campaign, both admitted defeat. Trump’s campaign was so caught off-guard by the victory that seemed impossible according to polls, that Bannon “said he saw Trump morph from a ‘disbelieving Trump and then into a horrified Trump’” according to author Michael Wolff. Reasons why the 2016 polls in the U.S. incorrectly predicted an overwhelming Clinton victory ranged from the “Bradley effect” – reluctance of those polled to admit support for Trump due to societal pressures – to nonresponse bias, which, according to The Washington Post, “occurs when those who participated in the survey had different opinions than those who did not participate (either because they could not be contacted or were contacted and refused).” Pollsters in the U.S. race also overestimated the willingness of Clinton supporters to vote, or conversely underestimated the true level of support for Trump’s voting base. If US and British polling organisations, with far bigger resources than those available to Ukrainian pollsters, got it wrong how will those polls published in Ukraine succeed in making correct predictions? As Nate Cohn wrote and Ukraine pundits should note when using polling data to predict the outcome of the 2019 election, “It might seem strange to argue that the polls could miss the result of an election and could still be trusted in the future.” Not only is it difficult to predict outcomes, it is even more difficult with ten months to go before election day during which anything could happen, and another scandal could impact upon a candidate’s ratings. For example, surely everything changes in President Petro Poroshenko’s favor to win if Constantinople recognizes the right for autocephaly for Ukrainian Orthodoxy. Poroshenko’s low ratings should be viewed alongside two factors. The first is a crisis in the opposition who do not command high public support. The opposition candidates have skeletons in their closets composed of failures, controversies and scandals. The opposition crisis engulfs populists, pro-Russian forces and the left. The populist opposition have low public support because they are either old baggage (Yulia Tymoshenko) or fake oligarch election projects (Oleh Lyashko). Tymoshenko is second to Poroshenko in negative ratings and will therefore find it difficult to convince Ukrainians she is a “new deal” – as media criticism of her recent congress shows. Tymoshenko’s negative ratings “limits her chances and keeps the presidential race wide open” while “Even Tymoshenko’s lead in the polls is sullied: not only does she have the most support, she is also second only to Poroshenko in the “never support under any circumstances” category. That is the paradox of Ukrainian politics: Tymoshenko is at the same time the most popular and the second most hated politician in the country”. Even Svyatoslav Vakarchuk, wrongly called a new face as he was elected to parliament in 2007, has higher negative (47 per cent) than positive (38 per cent) trust levels. Pro-Russian political forces have insufficient support to undertake a come back and take revenge. The left is either banned (Communist Party) or marginalised (Socialist Party). 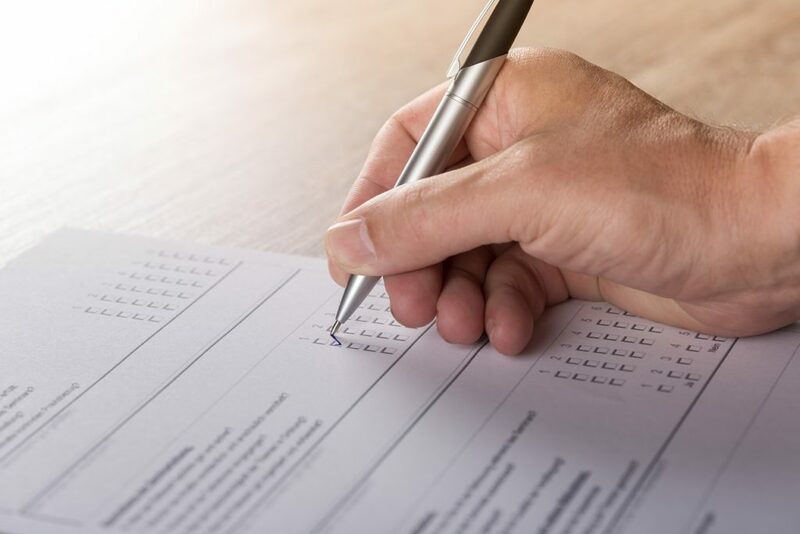 A second factor that should make voters cautious about reading opinion polls is the large number of undecided who currently number between 20-45 per cent, which is higher than the number of voters who have made up their minds for any particular candidate. Andriy Holyb writes that this large group will decide the outcome of next year’s presidential and parliamentary elections. Undecided voters will choose at the last minute who to vote for or not vote, they will vote for the lesser of two evils (often these are those who vote for the incumbent president), and they are highly concentrated in Ukraine’s east. This is why an April 2018 Socis opinion poll when asking who would win and become president gave Poroshenko 18 per cent support and Tymoshenko 12 per cent. The same poll when asking Ukrainians who would participate how they would vote gave 10 per cent to Tymoshenko and 9 per cent to Poroshenko and Grytsenko. Ukrainians should not therefore take much notice at Ukrainian opinion polls which give different outcomes to next year’s presidential and parliamentary elections. 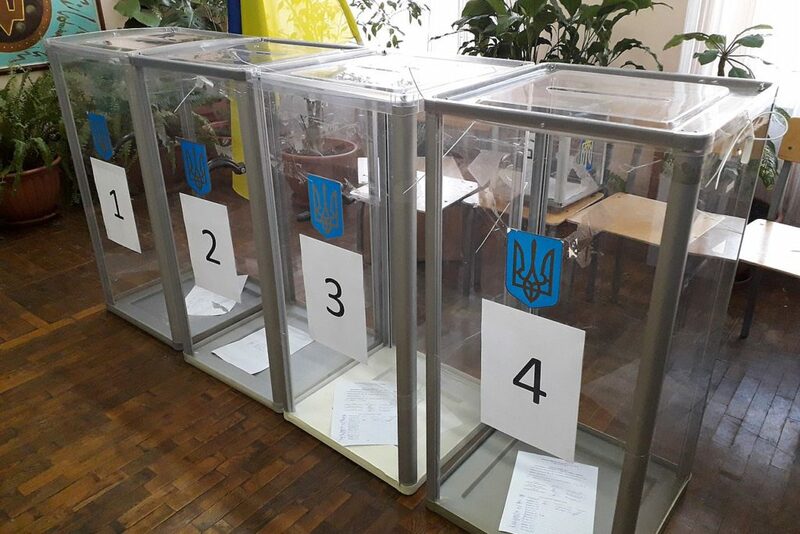 How a Ukrainian asked by a polling organization feels today is not necessarily how they will vote in March and October 2019.  Taras Kuzio is a Non-Resident Fellow at the Center for Transatlantic Relations, Johns Hopkins – SAIS and Professor at the Department of Political Science National University Kyiv Mohyla Academy. His book, Putin’s War Against Ukraine. Revolution, Nationalism and Crime was published in March 2017. What does the election of Donald Trump for US president mean for Eastern Europe?